Fuyang teachers past & present - 第2页 - 本地外教 - 英语交流吧论坛 - Powered by Discuz! Besides her job at the Fuyang No.2 High School (since February,2012) Candice also teaches part-time at a kindergarten, and designs web sites. Before China she taught English in Australia, and has traveled to Europe, North Africa, India and numerous southeast Asian countries. She studied one year of high school in Japan. She is half Maori ( the indigenous inhabitants of New Zealand). email: rmahoney58@yahoo.com , 86-152 5582 4713, 86-136 7173 7017 . In China 16 years, Ray (53 years old) has also taught in Shanghai, Beijing, Shiyan (Hubei), Kuitun (Xinjiang), Lanzhou, Changchun and elsewhere. Was in China-related business in the 1980s and 90s, and in the NGO sector both as a volunteer and in full-time positions. Has also been to India and Pakistan. tel: 86-157 1558 9649. JJ, (Jean Jacques Francis), 41, former airplane pilot in South Africa, went to university in Pretoria. Born in Mauritius, he lived in Canada when young, and speaks French. Teaches 1st year English majors on the old campus. This is JJ's third year at Fuyang Teachers College. 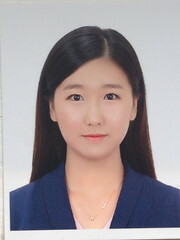 Has also taught English in Wuhan, and Hong Kong. Likes to use games in the ESL classroom. Before Fuyang Teachers College, Siddiqui taught English for four years in Shandong (in Weifeng,Zibo,and Linyi). "I will be delighted to do my best to chat with anybody, communications permitting! Email is always a good bet with me! I have wide interests and could chat with them re just about anything. " Greg Robb was a high school teacher, then policeman, in Britain. Now teaching in the Philippines, he will be a teacher at Fuyang Teachers College in the 2012-13 academic year. 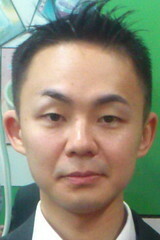 Sanuki Masakazu 佐贯正和 - Japanese teacher - 2012-present, 86-139 5680 4293， masakazu198511@yahoo.co.jp . Sanuki, 33, Ph.D. in history, teaches Japanese majors on both campuses. GMT+8, 2019-4-20 22:14 , Processed in 0.150738 second(s), 36 queries .